Create websites, Sales Funnels, Optin Pages, Connect Autoresponder And Much More in Minutes With ZERO Coding. Start Selling with the Most Complete Internet Marketing, Funnel Automation and Web Design Platform In The World. Link websites inside your Fan Page. Metrics delivery and complete campaign analysis. Create and manage emai marketing campaign auto responder with high delivery rate. Create Webinars pages and videos. Create and automate new visitor and existing customer relationships with our complete professional email marketing system. Develop autoresponder campaigns quickly and simply, manage leads using tags, and apply behavioral triggers. 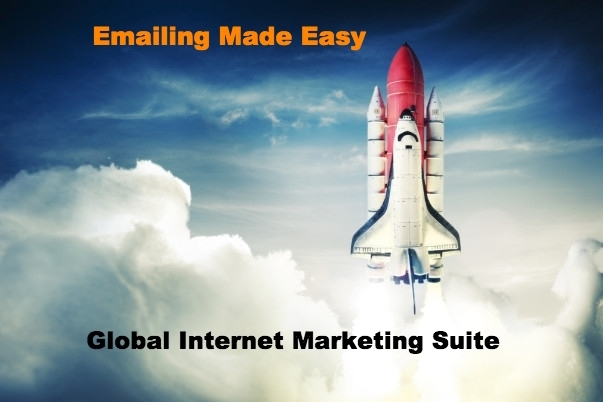 You can also send unlimited e-mails with your Global Marketing Suite account. YES, YOU CAN UPLOAD YOUR LIST! The Easiest & Most Intuitive Builder Ever Built! ​​​​​​​​​​​​​​In the most comparable Wix plan, you can only link one domain to your website, ​and it costs you $25/month. In the most comparable Wix plan, you can only link one domain to your website, ​and it costs you $25/month. ClickFunnels requires you to pay over $97/month to create sales funnels. However, e-mail marketing and site builder services are not included, and you would have to buy those elsewhere. To manage 10,000 leads in GetResponse it will cost you around $165/month, and you'll still need to find another tool to create your sales funnel or website. With GM Suite, you can build and link an unlimited number of websites and domains; create unlimited subdomains; and have all the digital tools you need at your fingertips. ​With GM Suite you have professional builders with much more features including all of the digital marketing and automation tools already included in your plan. All the tools you need to create professional sales funnels, automate your marketing, send and manage e-mails, and develop websites are included—at 50% of their monthly rate! With GM Suite you start with a 10,000 lead capacity, and the ability to create automated sales funnels, develop stunning professional websites, and host blogs in an intuitive way for a low monthly investment. GM Suite is a fully integrated platform; you do not need to purchase any plugins to have the technology you need running on your website. On top of that Global Internet Marketing Suite is so easy to use almost anyone can create amazing webpages in minutes. Make unlimited animated videos and sales videos with our animation tool. Design your own characters and expressions, or choose between the hundreds of exclusive characters available to you only through GM Suite. Download and publish to your own website, YouTube channel, Facebook account, and more. Quickly write and send highly converting, customizable e-mails using our responsive E-mail Builder and HTML5 Drag & Drop technology. Use templates and campaigns to demonstrate your expertise, product, or service value and quality to the members of your list. Get the power of SEO optimization on your website pages! Our reporting tool gives you all the information you need to make your page as SEO-perfect as possible, and boost your search visibility results. Craft an interactive way of communicating with your website visitors with the GM Suite Interactive Presentations Tool. Download your work, create a custom URL, and integrate your demo with your existing website, all with our professional presentation tool. Advance your marketing strategy with sophisticated tactics and tools through GM Suite. Now you can capture leads with Facebook logins, e-mail forms, browser notifications, smart opt-ins, and more. Instantly inform your visitors, followers, and clients of an event, promotion, or offer! Efficiently develop relationships with your visitors, followers, and customers with GM Suite Browser Notifications, that they can see while they are online! Collect leads and create lists while building relationships with potential and existing customers. GM Suite helps you capture and nurture these relationships with notifications, intelligent posts and apps, directly integrating into Facebook fan pages. Most people look at their cell phones well over one hundred times a day. With the GM Suite App Creator, your presence is felt as you are able to offer products and services directly through your customer's cell phone. Product sales, table reservations, hotel booking, push notifications, image galleries, delivery service, etc. are among dozens of features made available to you. We also have tons of video tutorials for you to learn from. That way, you can bring your business to the hands of thousands of users. The Global Marketing Suite platform integrates heat maps in your website or blog. You'll be able to see and track where your users clicked on your pages, and know which areas of your layout are the hottest. And you will have the information to strategically place your Buy Now or Call To Action buttons to increase conversions. Global Internet Marketing Suite (GM Suite) © 2018 a division of Biz Help 101. All elements on this website, images, and content are protected under Article No. 11.196/2005 of the Intellectual property and Copyright Laws 2016. Send better email. Whether you need to sell your products, share some big news, or tell a story, our campaign builder makes it easy to create email campaigns that best suit your message.